The Zimbabwe Economic Freedom fighters have called upon the government to seek the assistance of Interpol and extradite exiled Former G40 Kingpin to face corruption charges in Zimbabwe. Moyo is accused of benefitting from money which was corruptly syphoned out of Zimbabwe Manpower Development Fund (Zimdef) by ministry and fund officials. "As Zim EFF Zimbabwe we are worried that corruption charges leveled against former Minister Prof Jonathan Moyo are not taken seriously. We are calling on the ZRP, ZACC, the Special Anti-Corruption Unit set by the president to priorities the charges levelled against Moyo." Innocent Ndibali the Commander In Chief of ZEFF said. "ZACC provided its evidence on all their investigations, why is ZRP failing to arrest Moyo so that he is brought back home to answer on his charges? ZRP have the power of Interpol we need action without delay. "We are shocked that we only thought that Prof Moyo siphoned only $400 000 but recently reports suggest that he looted more than $3 million dollars. We are informed that the president Emmerson Mnangagwa is studying a forensic audit report on Zimbabwe Manpower Development Fund (Zimdef) amid indications that more than $3 million could have been taken from the fund in suspicious circumstances. "We have written letters to ZRP, the Special Anti-Corruption Unit and the Parliament s Public Accounts Committee. We need action and we are not backing off from now going forward until this issue is settled." Ndibali said they also want Moyo s lieutenants in the Ministry to be brought to book. 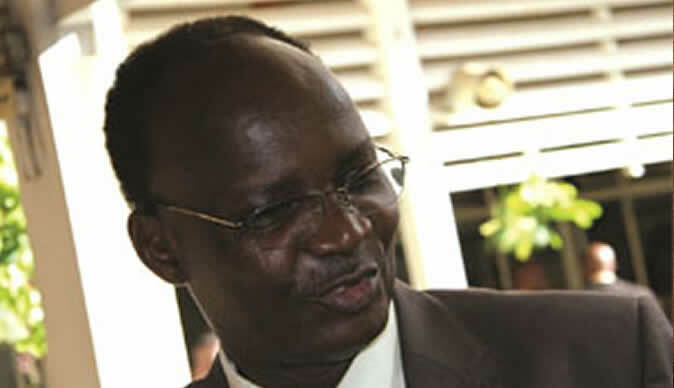 "We also need Moyo's crew which include former deputy minister Godfrey Gandawa, the managers' chief executive officer Fredrick Mandizvidza, principal finance director and administrator Nicholas Mapute; human resources manager Ignatius Kanjengo; chief accountant RopafadzoMukamba and senior revenue manager, James Gombarago to account. We are not retreating it is now time Zimbabwe to recover what was stolen from us. We cannot live in same societies with these people who are destroying our country and move around scot-free. "Let us all recall that Zimdef funds are meant to support students at tertiary institutions. We know Gandawa bought personal furniture using Zimdef funds, while Moyo confirmed buying bicycles for his then Tsholotsho North constituency. The Zanu-PF youth league mthen led by Kudzanai Chipanga was also a big beneficiary of Zimdef funds. "We are also told that auditors unearthed questionableprocurement of some properties by Zimdef. We are also told of late that he also siphoned Zimdef money using Tsholotsho Council we are going after him. We also know that he has been hobnobbing with some opposition leaders like Chamisa, Biti and lot, but we are not moved by that we want him to pay back the money and justice prevails. Whatever relationship he has with other opposition is not for us what we want is our money back." Prof. Moyo who fled Zimbabwe at the height of a cvoup that ended 37 years of Robert Mugabe's rule is suspected to be holed up in Kenya. Senior government officials including Saviour Kasukuwere and Supa Mandiwanzira have been arrested and are facing a number of corruption charges and abuse of office.